If you’re on an oil rig in the Gulf of Mexico, you know how hot it gets. Teknotherm Refrigeration is there to keep you cool. With decades of experience on rigs and support vessels throughout the Gulf, we can get your parts or repair your system quickly. Whether it’s wall-in coolers or air conditioning for technical space or living quarters, we can build, repair, and maintain your cooling system. We have been providing offshore rig refrigeration service and systems to some of the biggest names in the industry for over 20 years. With world-class technicians, 24-7 tech support, and a parts department that will go the extra mile, Teknotherm Refrigeration will keep your rig coolers and air conditioning working great. From our proprietary TeknoLogic control solutions with remote monitoring and troubleshooting to our innovations in the fields of ammonia refrigeration, we are always in the lead. 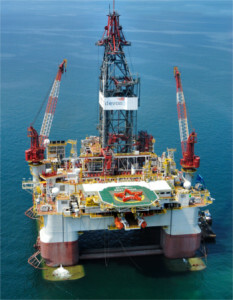 We offer the most dependable walk-in coolers and AC systems for oil rigs in the Gulf and beyond. Throughout the Gulf of Mexico, Teknotherm Refrigeration can provide the equipment, knowledge, and technical support you need. For all your parts, repair, or maintenance needs, we can get you cooled down fast. With our complete in-house engineering service to our fully equipped fabrication shop, we can design, build, and repair virtually any refrigeration or cooling system you need. And don’t forget about our world-class parts department. We can round up just about any part you need, from anywhere in the world. With service along the Texas and Louisiana coast and throughout the Gulf, we can get you up and running, and keep it that way. Contact us today if you need parts, service, or equipment for your cooling or ice making system.